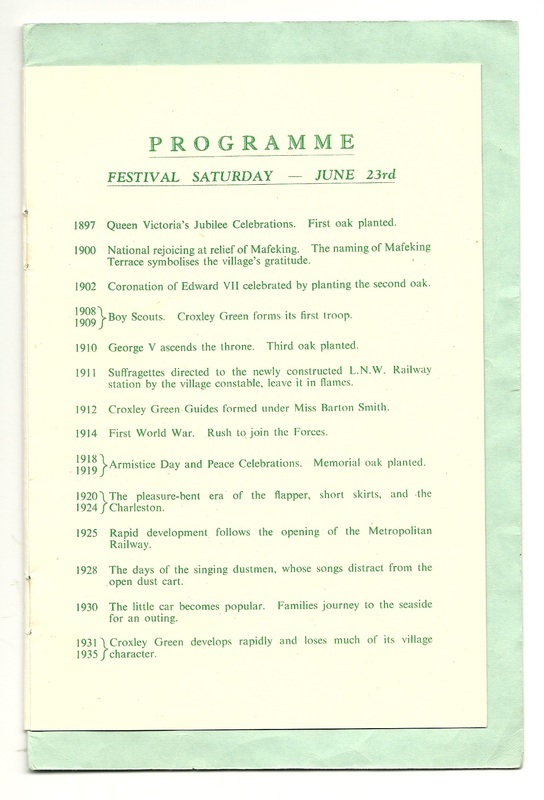 The Festival of Britain was organised to demonstrate Britain's recovery and development after World War Two and it was no mere coincidence that the chosen year,1951, was 100 years after the Great Exhibition of 1851, planned by Prince Albert, consort to Queen Victoria. 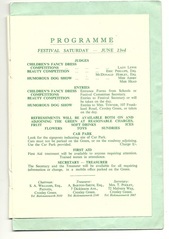 The centre of events for the Festival was in London on the South Bank of the River Thames, near to the site of the Royal Festival Hall, which was itself designed to remain after the Festival was over as a permanent reminder of the event. 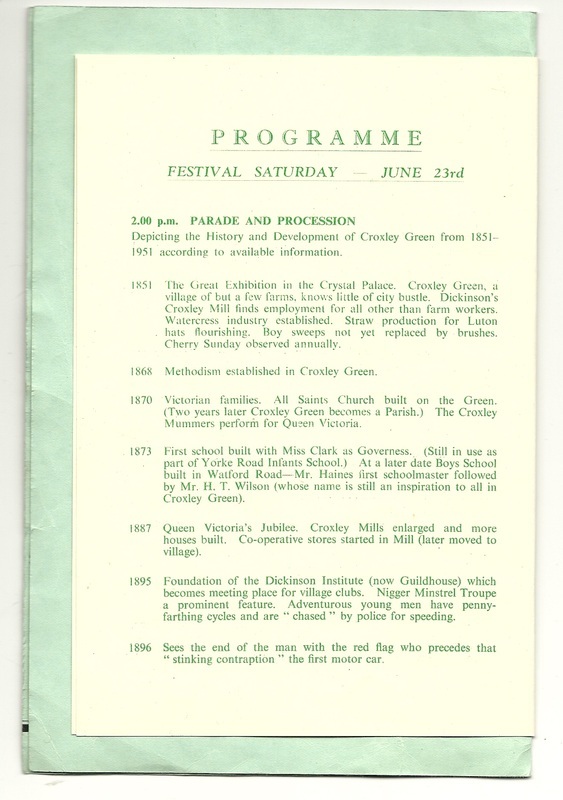 Across the whole country many towns and villages held their own celebrations and exhibitions, highlighting the country’s development in science, agriculture, architecture and the arts. 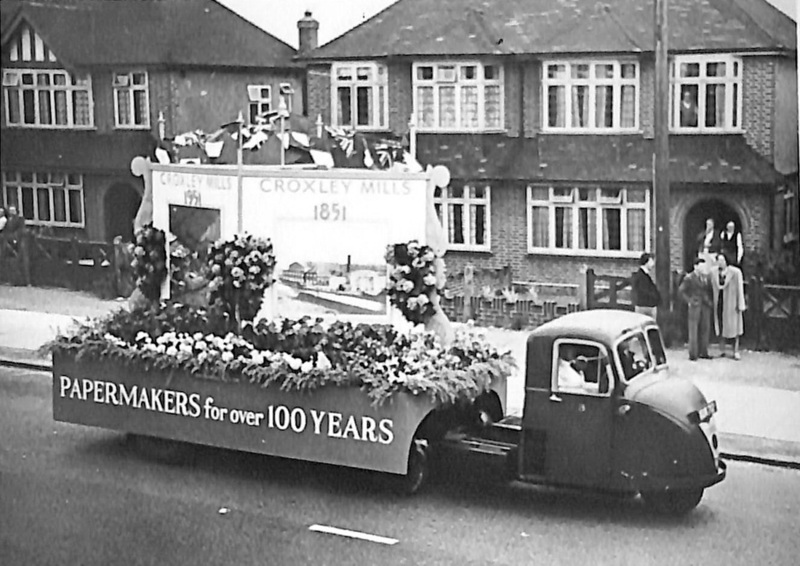 Croxley Green was no exception. 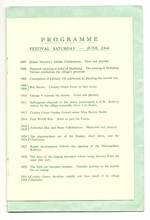 Exhibitions highlighted the country’s development in science, agriculture, architecture and the arts. 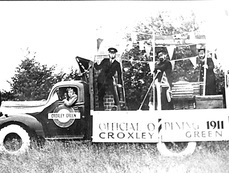 The Croxley Green Society co-ordinated a week of events involving many of the local associations and societies, culminating in a huge event on Saturday, 23rd June, on The Green. 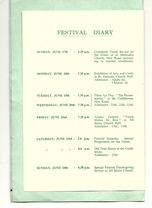 Events commenced on Sunday 17th June with a combined youth service. 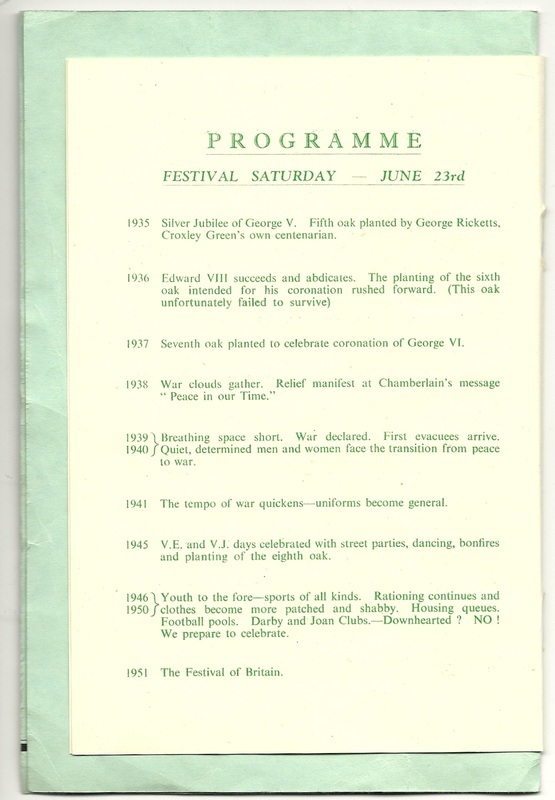 This was followed during the week by a varied programme of events. 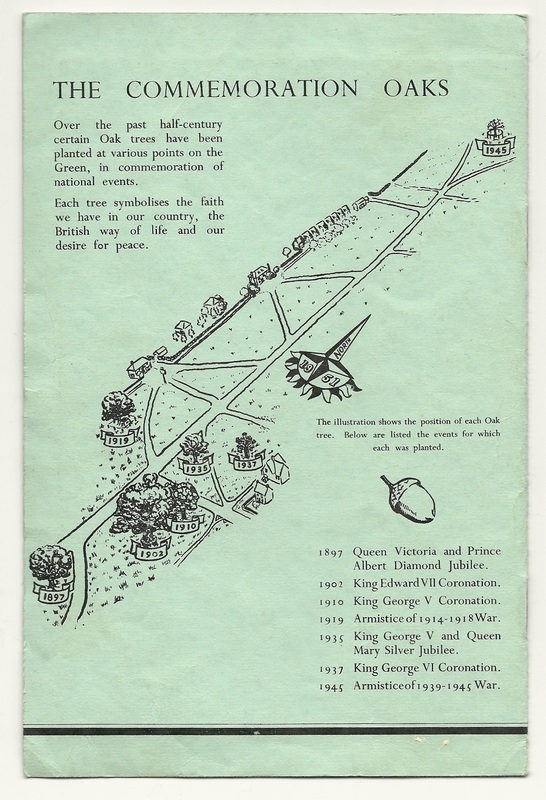 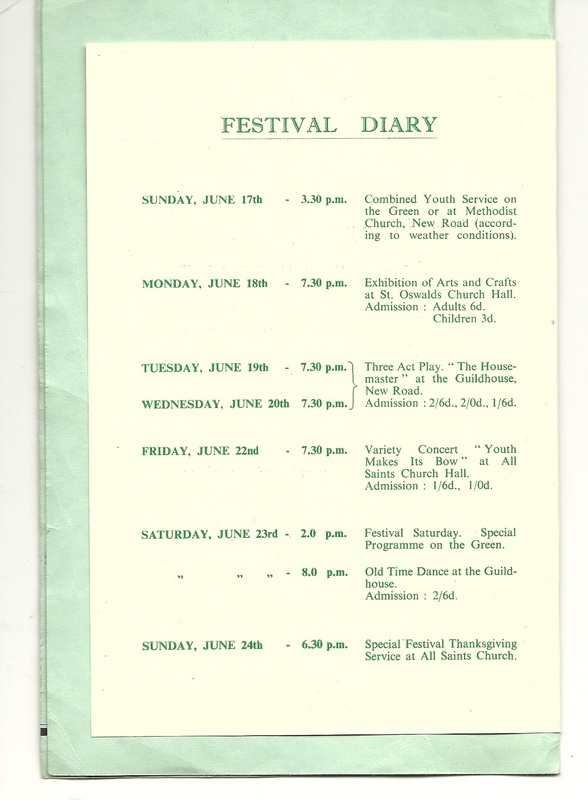 Highlights included an exhibition of arts and crafts at St Oswald’s Church Hall; a three act play “The Housemaster” was performed at the Guildhouse and a variety concert ‘Youth takes a Bow’ took place in All Saints Church Hall. 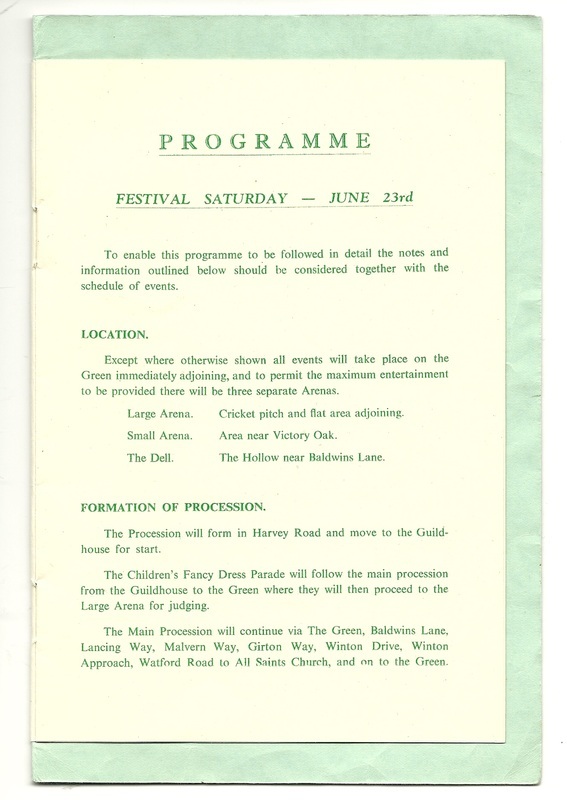 On Saturday 23rd, car parking was provided on The Green at a fee of 1/- (one shilling = 5p). 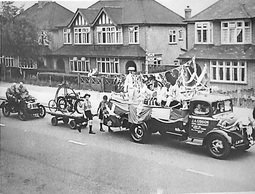 The day's events commenced at 2 pm with a procession through the village starting at the Guildhouse in New Road and ending on The Green. 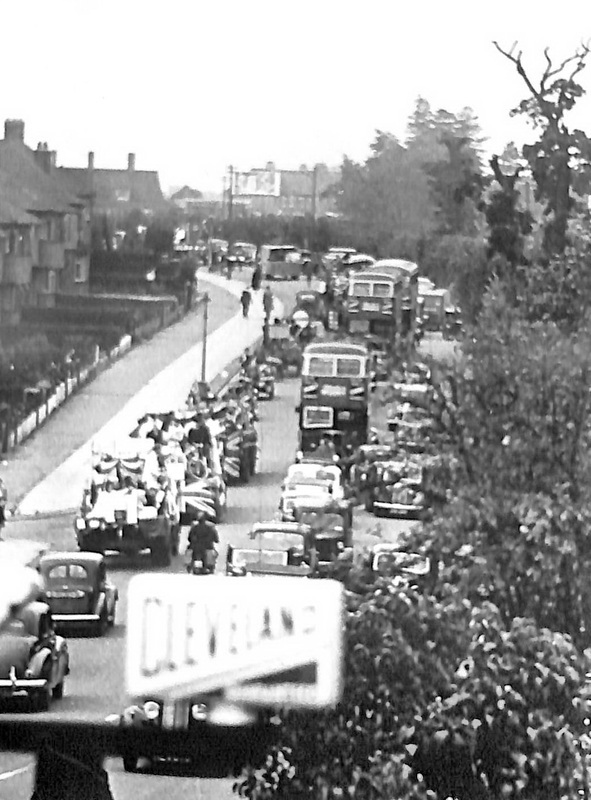 The route took in New Road, The Green, Baldwins Lane, Lancing Way, Malvern Way, Girton Way, Winton Drive, Winton Approach, along the Watford Road to All Saints Church and on to the Green. 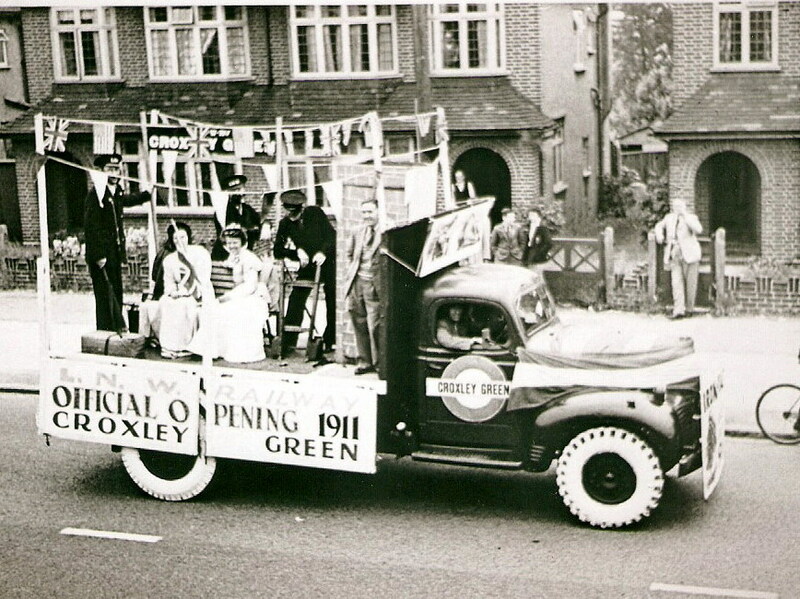 A Children’s Fancy Dress Parade was included and entrants were judged on the return to The Green. 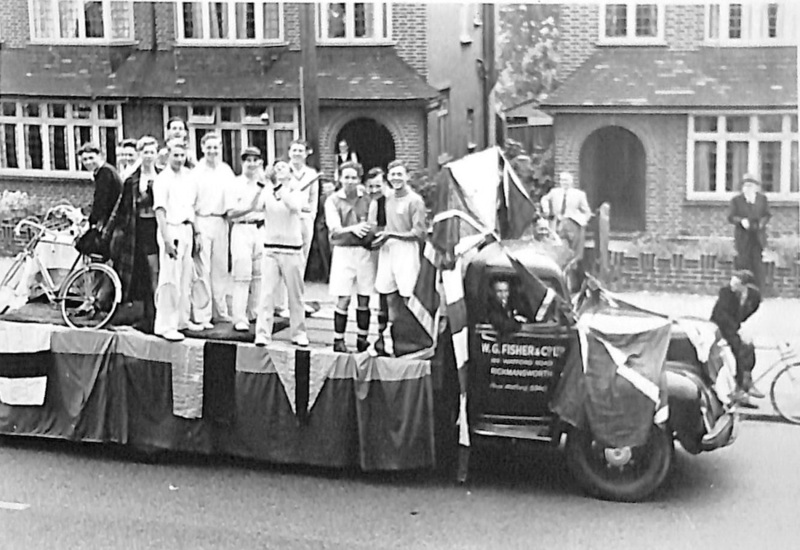 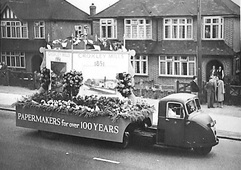 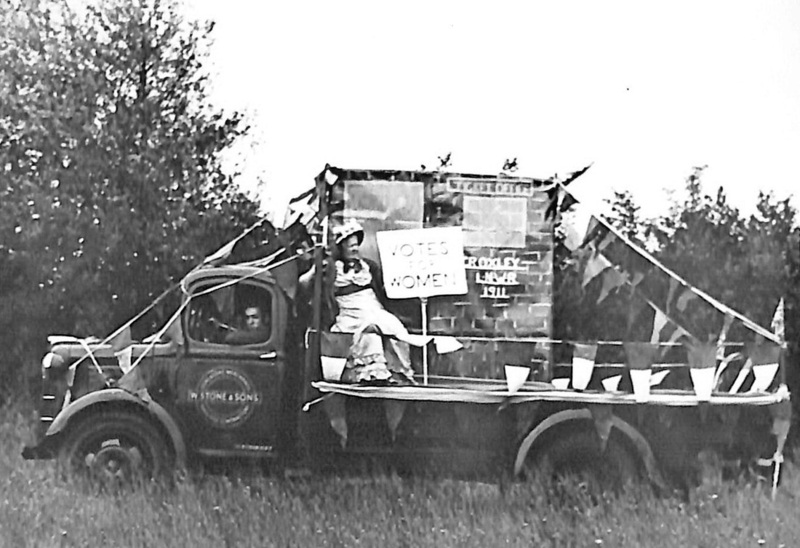 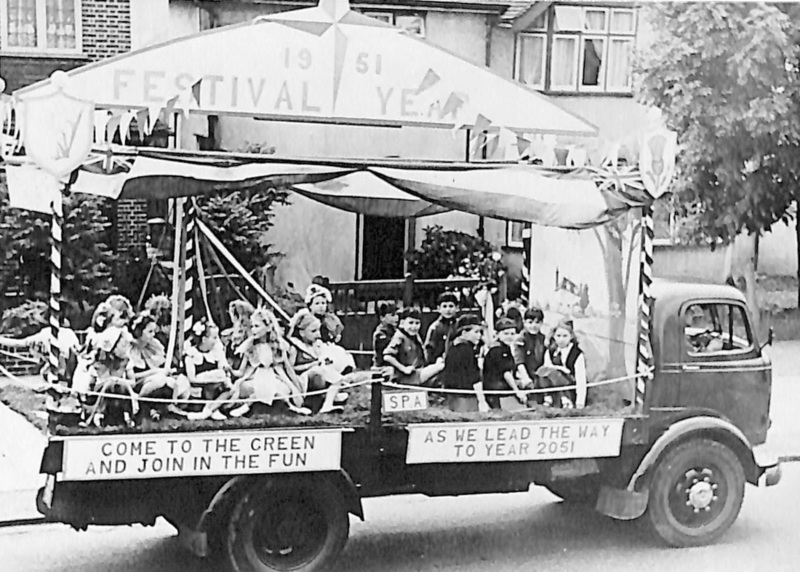 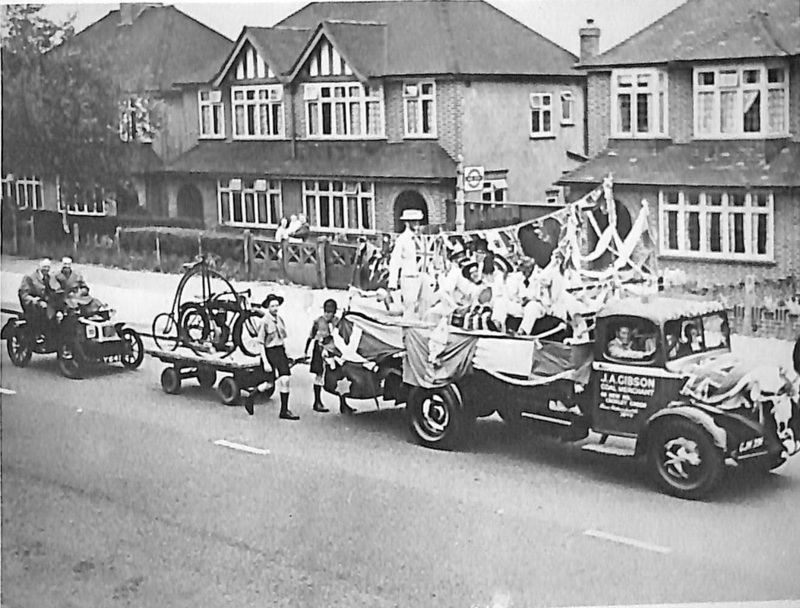 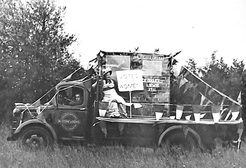 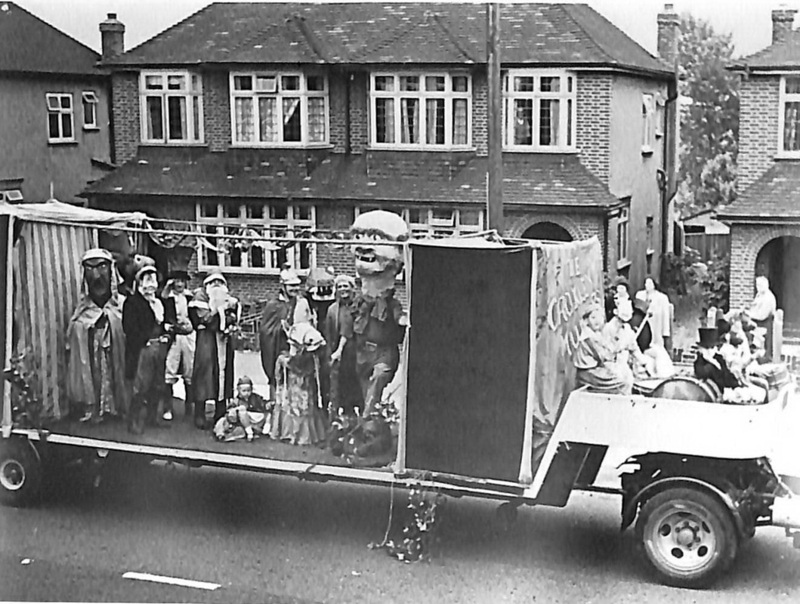 The parade depicted Croxley Green’s growth from when it was a small hamlet of approximately 250 people in 1851 to 1951 when it had increased to some 12,000 inhabitants. 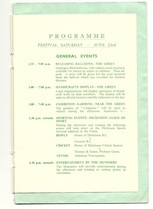 The event organisers used the long and wide expanse of The Green to accommodate three arenas. 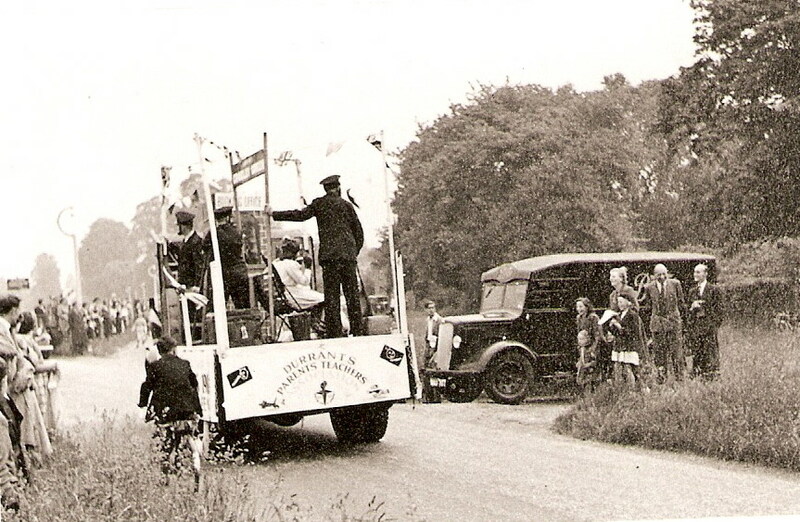 The first and largest of these (the Cricket Square now the Revels Arena site) received the procession on its return. 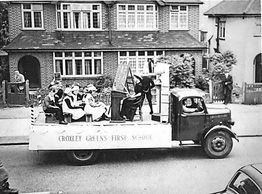 There followed the judging of the fancy dress and beauty competitions (this was performed by McDonald Hobley, a well known TV personality of the day). 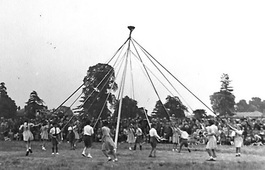 Children from the combined Croxley Green schools performed folk, country and Maypole dancing. 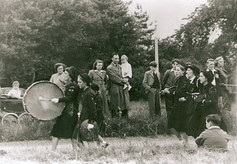 There were displays by the Scouts and archery by the Boys Own Club. 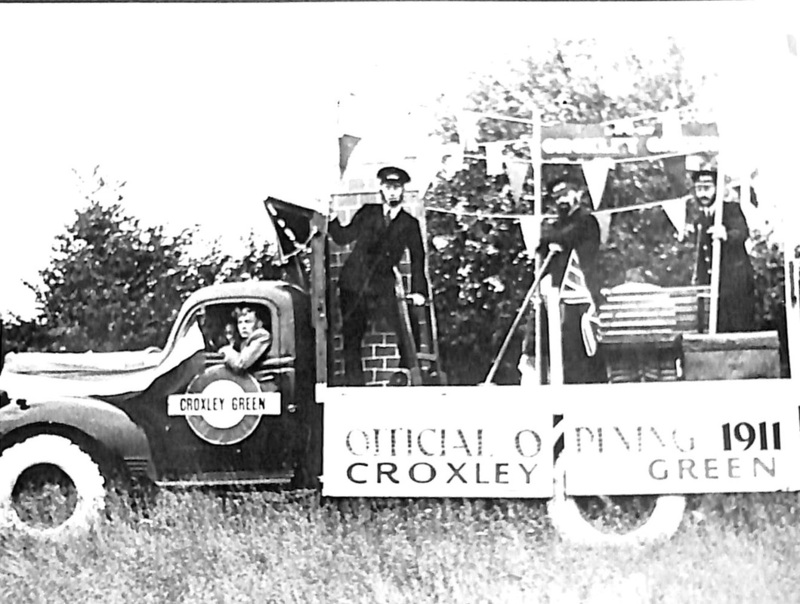 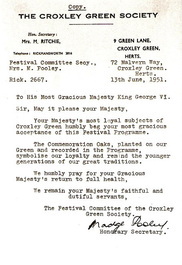 During the evening, an hour long Pageant depicting the history of Croxley Green was put on. 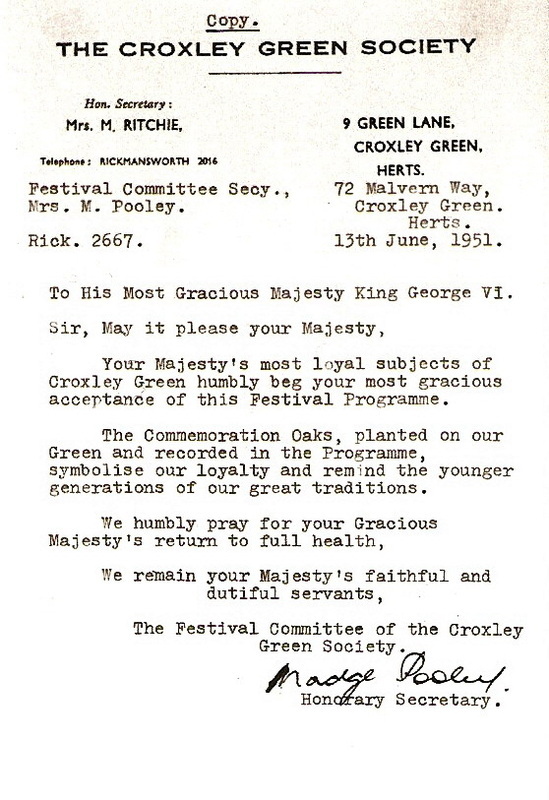 The Choral Society led a session of choral and community singing and later there was a display of Counter-Marching and Beating the Retreat by the 3rd Cadet Regiment - Herts Yeomanry. 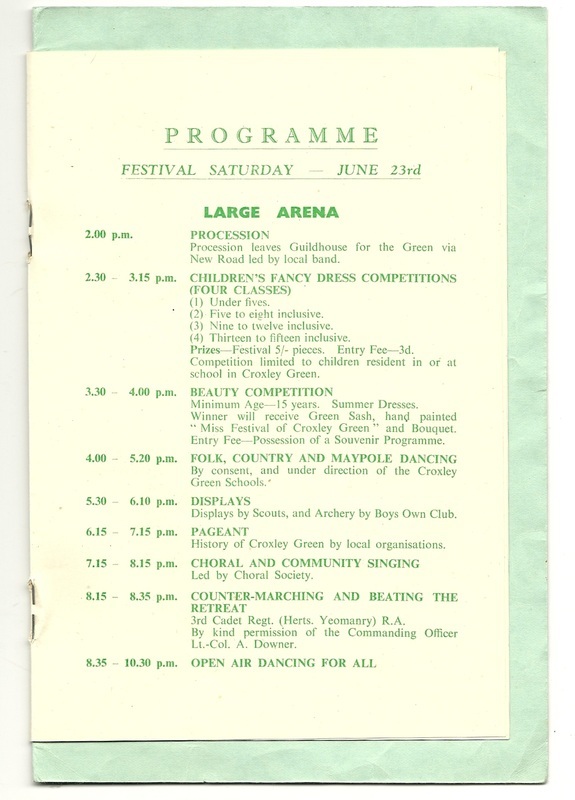 This was followed by open air dancing from 8.30 to 10.30 pm. 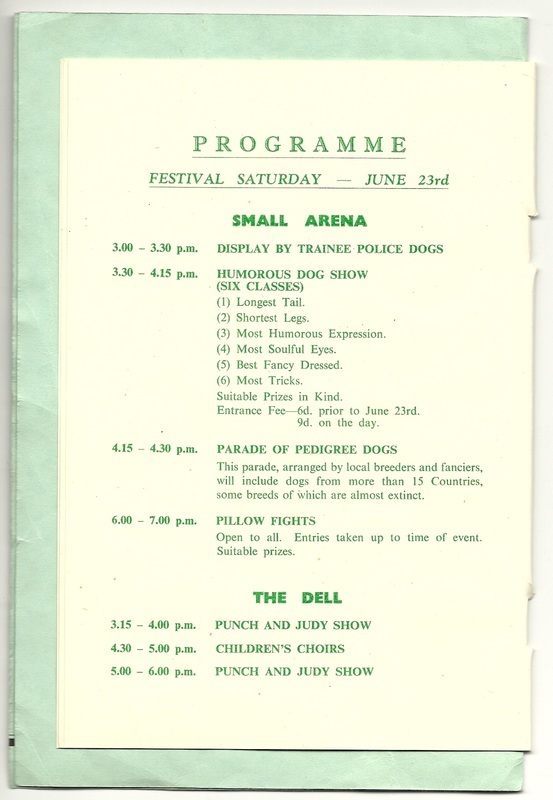 The small arena in front of Croxley House was used for a display to show the training of police dogs which commenced at 3 pm and was followed by a ‘Humorous Dog Show’ with 6 classes: longest tail, shortest legs, most humorous expression, most soulful eyes, best fancy dress, most tricks. 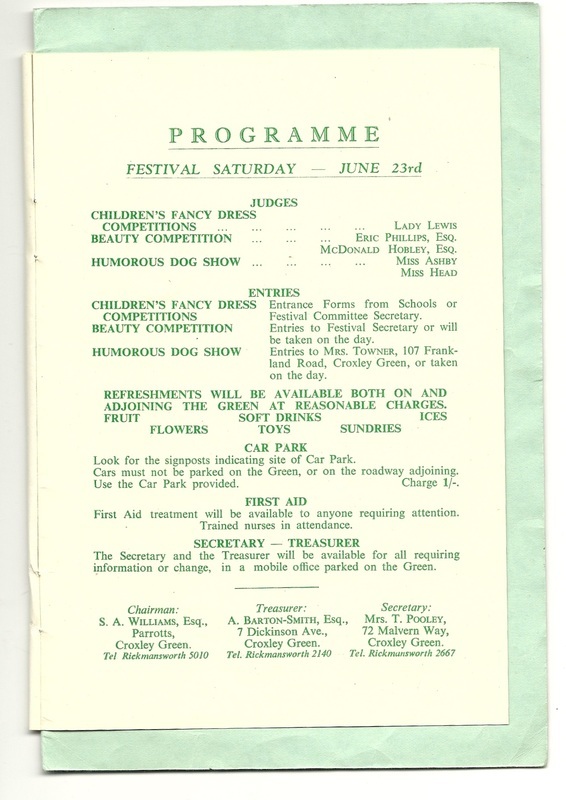 This was concluded with a parade of pedigree dogs from local breeders and fanciers which included dogs from more than 15 countries, some breeds considered rare and almost extinct. 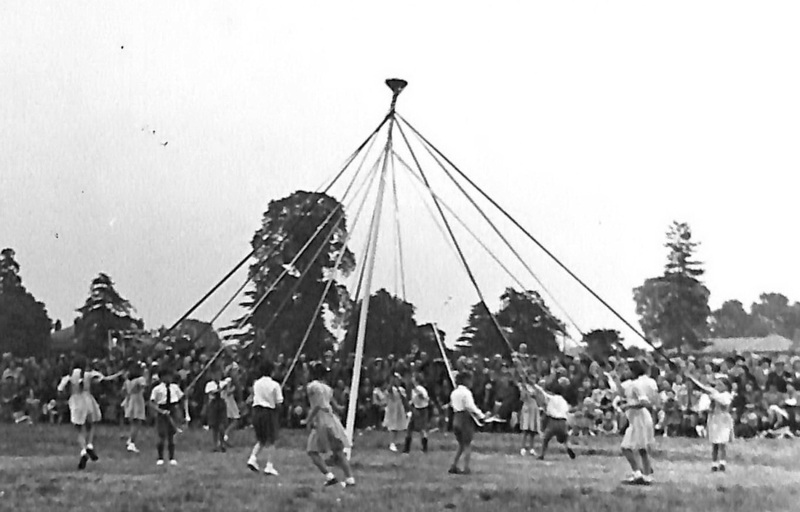 In the early evening the arena was used for pillow fighting! 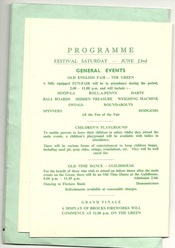 The third arena, the ‘Triangle’ was used for performances of the Punch and Judy Show and children’s choirs throughout the afternoon. 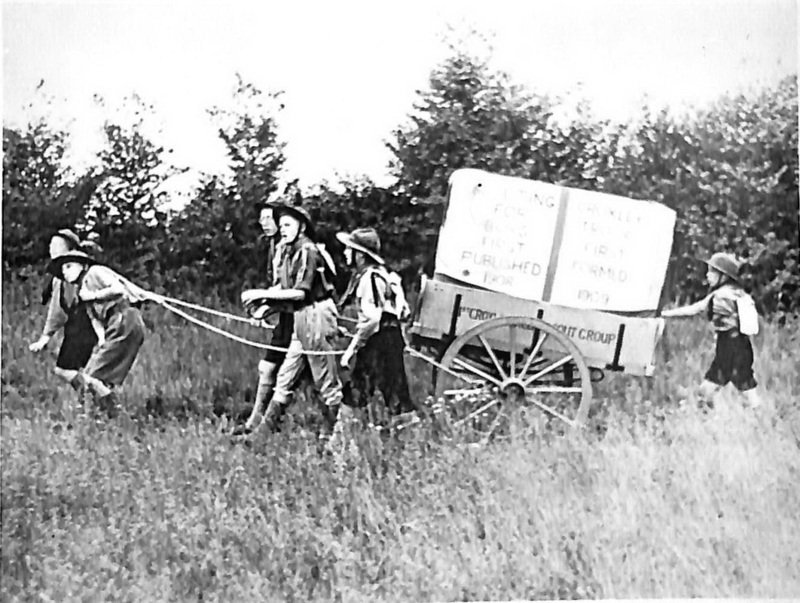 For 6d one could purchase and release a hydrogen-filled balloon. 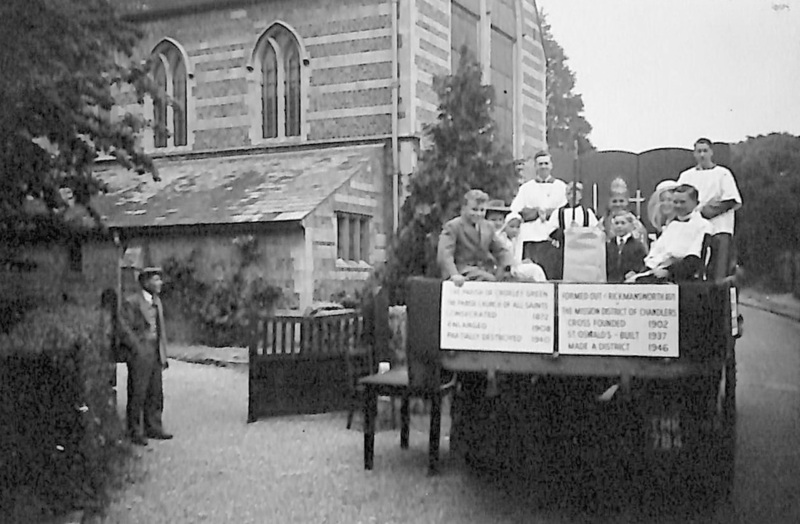 There was a prize for the purchaser of the balloon that had travelled the furthest when the tag was returned. 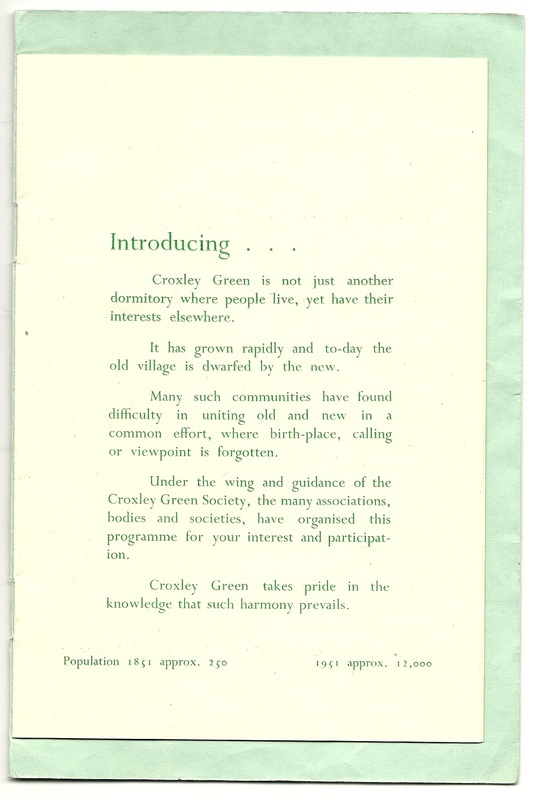 Members of local organisations displayed their handicrafts. 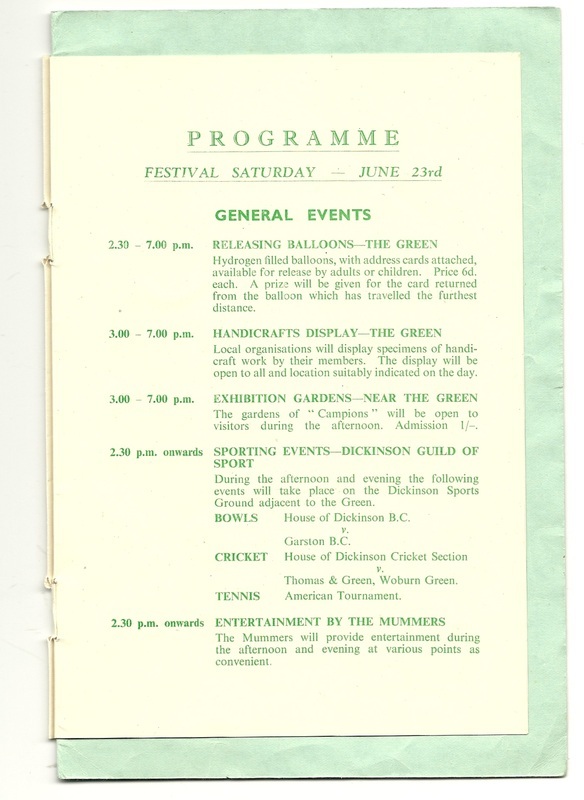 For those interested in gardens ‘Campions’, a house just off The Green, could be visited for an entrance fee of just 1/-. 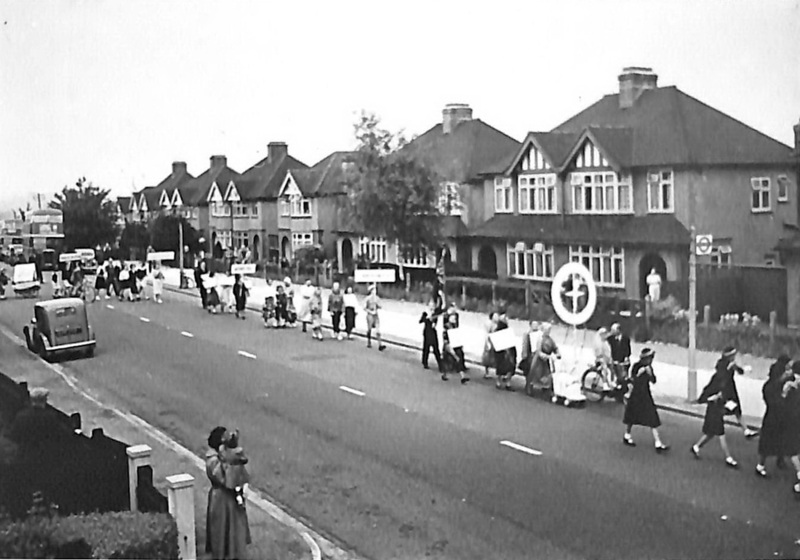 Barbara Woodhouse was once a resident here. 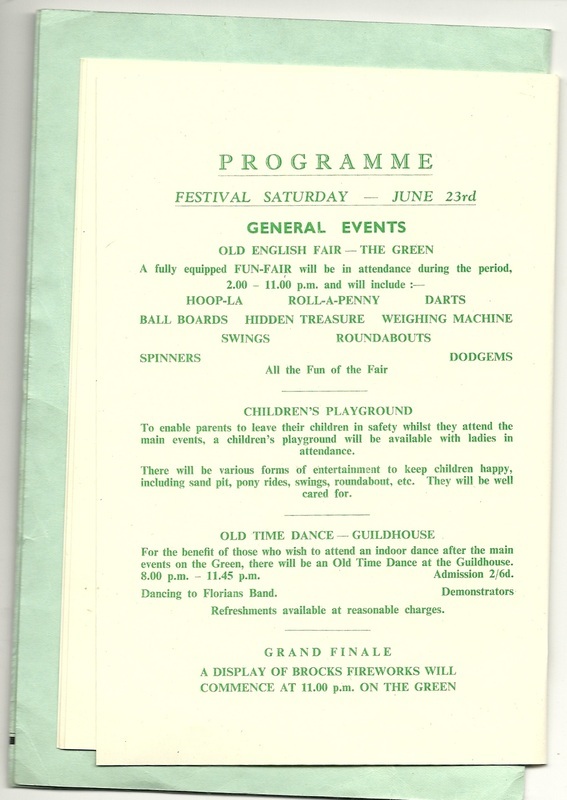 An old English Fair equipped with Hoop-la, Roll-a-penny, darts, swings, roundabouts and dodgems etc enhanced the occasion. For the more energetic, bowls, cricket and tennis competitions were being played out in Dickinson Guild of Sports ground. 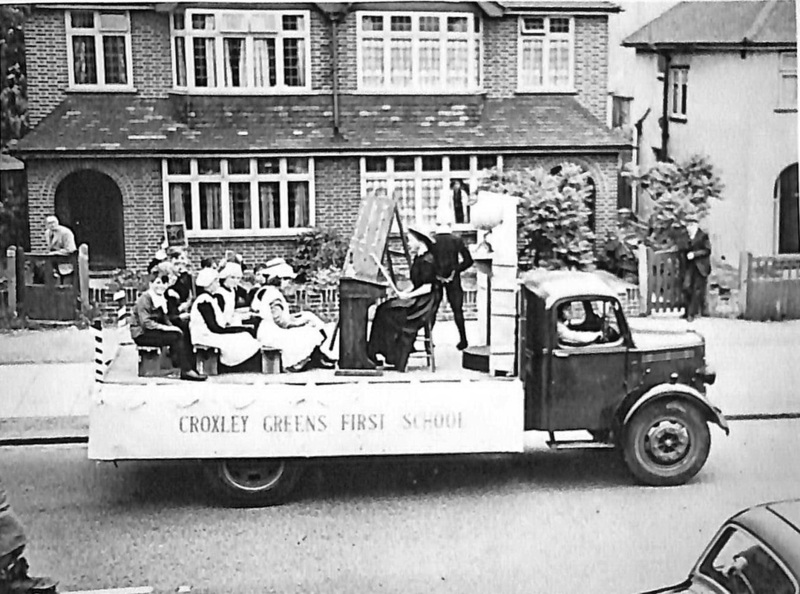 The Croxley Mummers were on hand, travelling around The Green giving performances of their famous St George and the Dragon. For those who wished to dance indoors in the evening, Old Time Dancing to the Florians Band could be enjoyed at the Guildhouse (admission 2/6 = 12½p) and, for couples unsure of the steps, demonstrations were available to show ‘how to execute the dances’. 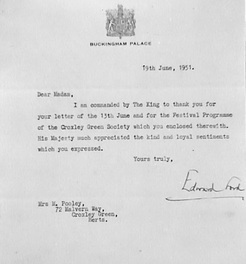 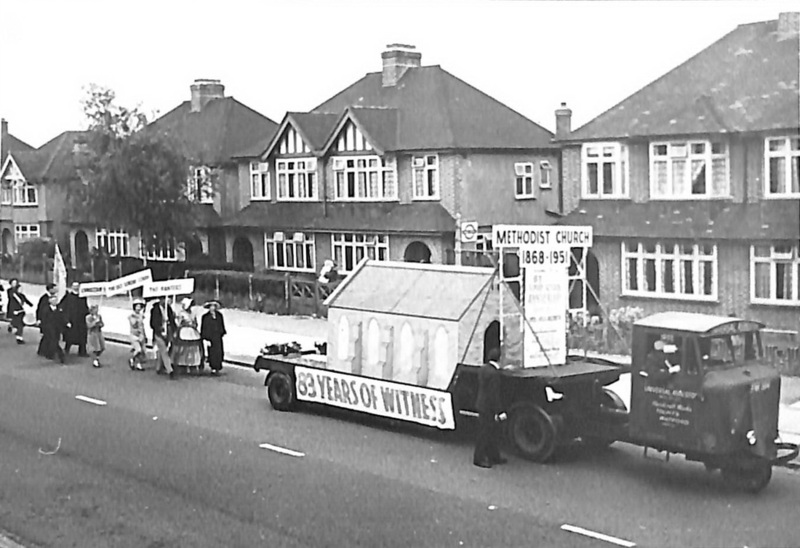 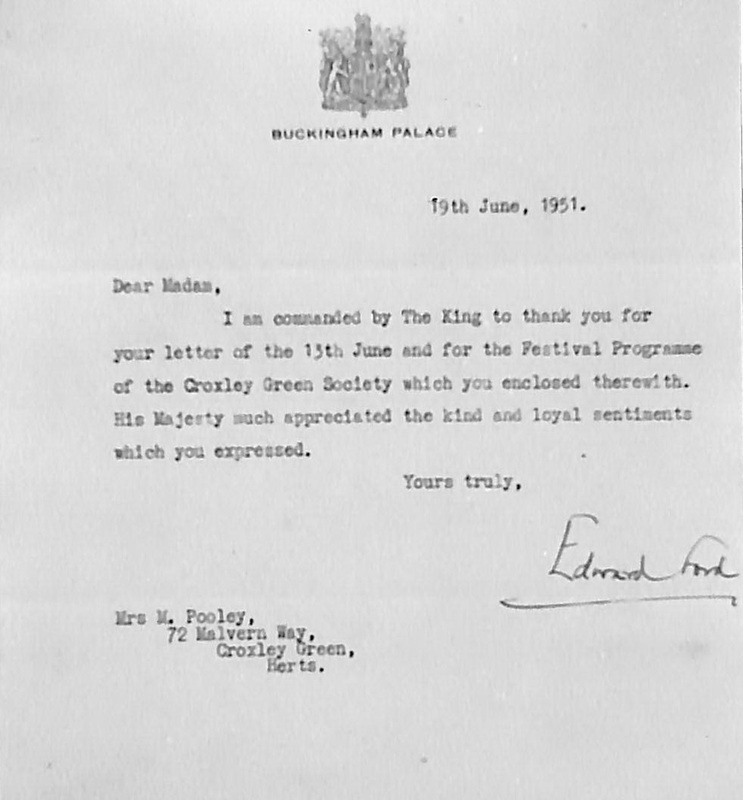 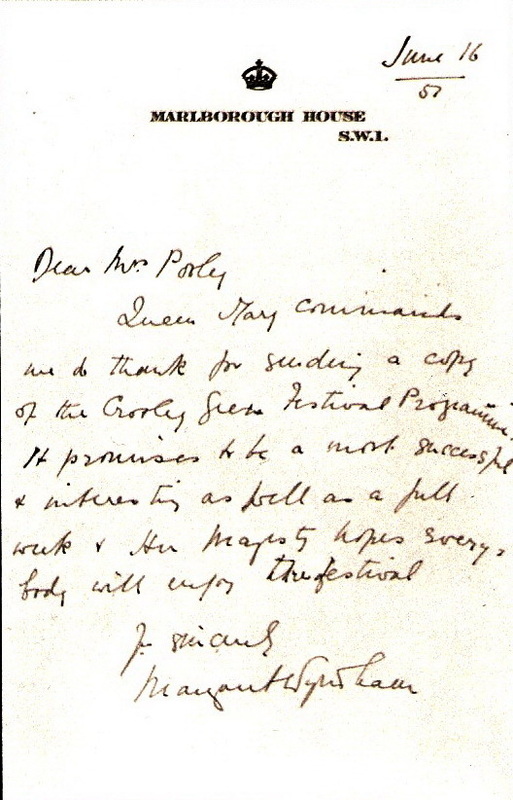 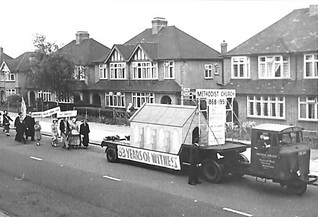 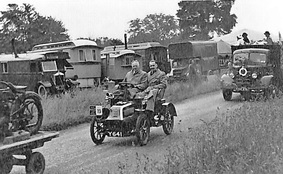 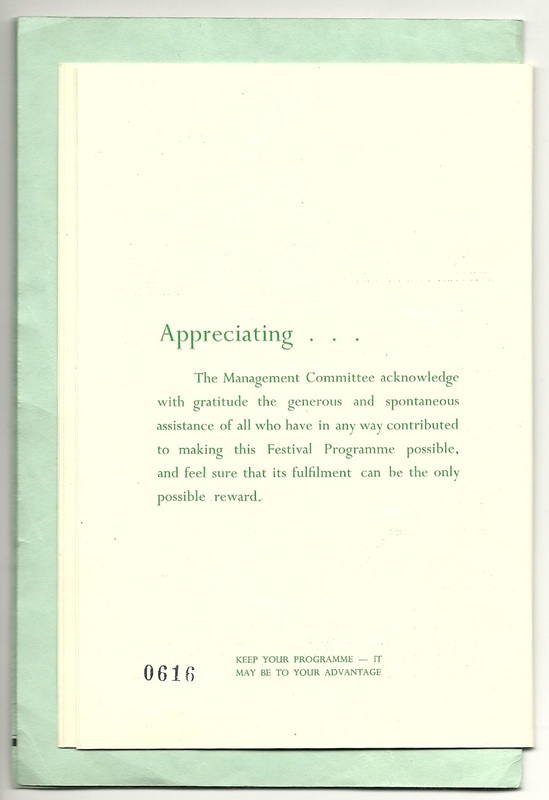 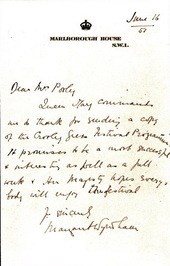 Leading members of the event’s committee were: Chairman, S. A. Williams Esq, Parrotts: Treasurer, A Barton-Smith Esq: 7, Dickinson Avenue; Secretary, Mrs T Pooley: 72, Malvern Way. 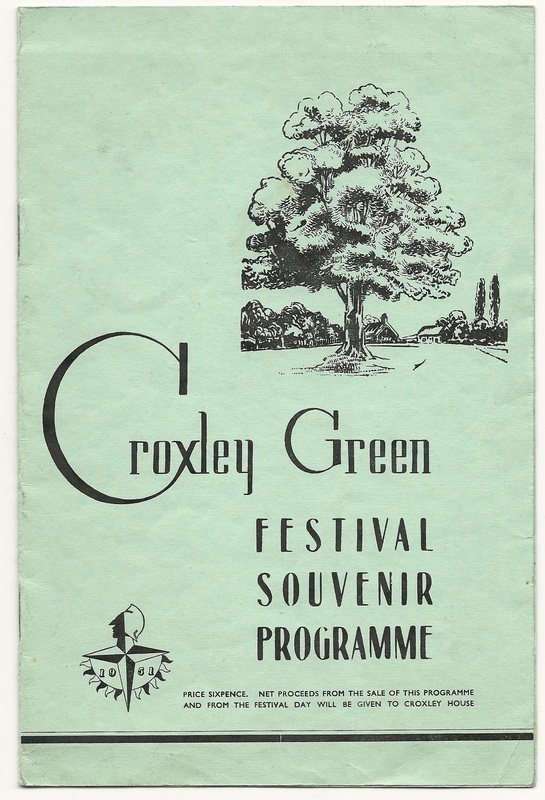 The day, and a most triumphant week of events, concluded with a traditional Grand Finale of a fireworks display on the Green starting at 11 pm.